I don't have any high hopes for such a disaster movie firstly because some of them are have no sense and so illogical. Secondly, the plot is always guessable. So, the reason why I watch this movie because it is available at 4DX-3D cinema at Blitzmegaplex. It should be good, right? Needless to say, it is surprisingly good! PS: this post maybe contains some spoilers. If you haven't watch the movie, feel free to leave. I know everyone hates spoilers. Ciao! 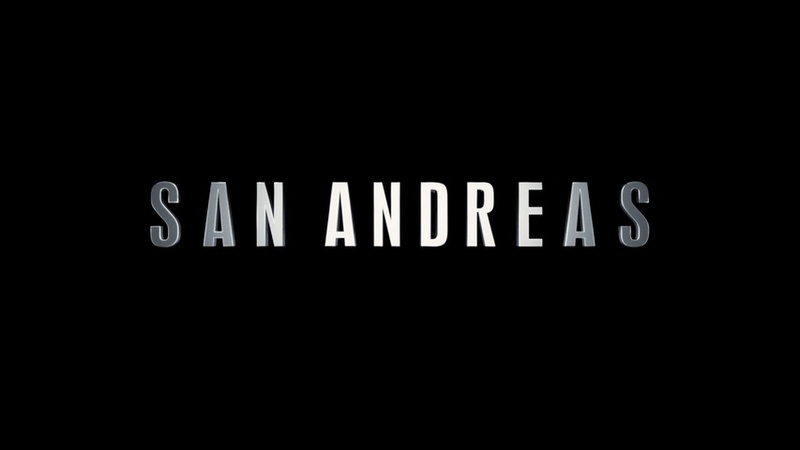 First of all, San Andreas is a disaster and action movie which is not my usual movie choice. The trailer that I watched month ago is pretty interesting, it makes me want to watch this movie! The casts are also interesting choices! Dwayne "The Rock" Johnson, Alexandra Daddario, and many more. Not only interesting choices, they also play each character really well. Usually, in disaster movies, the actors are pretty boring and not looking natural but here, I can say they are really good. The plot is like any other disaster movies, it is guessable but this one is kinda 'more interesting guessable plot' if I can say that. The reason is because it still make sense. I know some people say that it is impossible to survive a massive earthquake. I couldn't agree more, it is impossible but from what I see they tried to explain with logical way as possible. 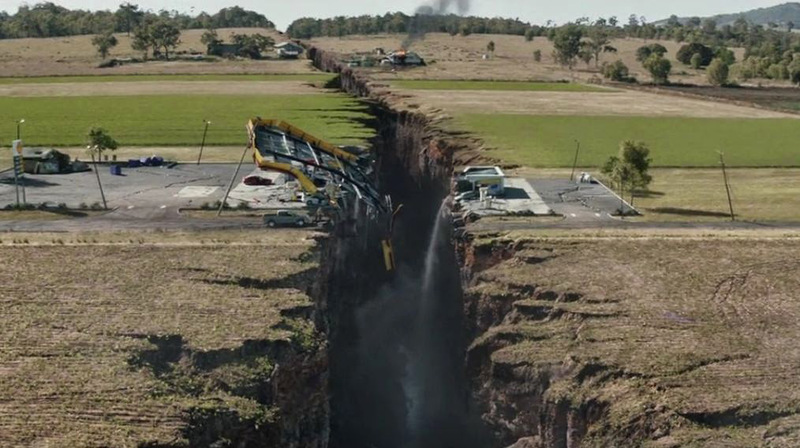 There's a tectonic fault in San Andreas even thou the fault maxes out at 8.3 not 9 as how the movie explain. It is also possible when one earthquake point trigger another, like in this movie, it starts in Nevada then trigger Los Angeles then San Fransisco. 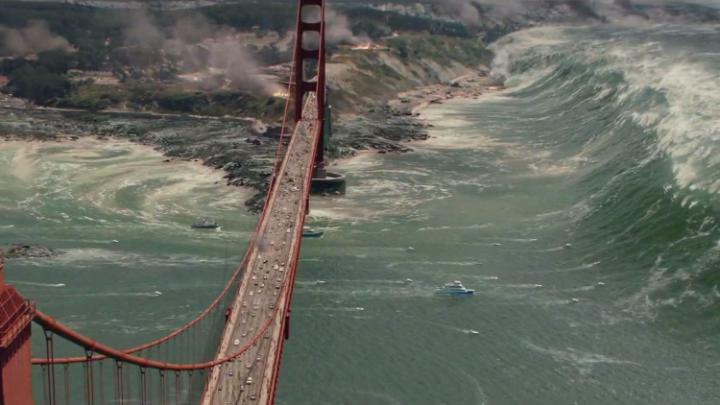 The only thing that illogical here is the tsunami because San Andreas is mostly on the land. Tsunamis are created by the fault underwater. Main point in this movie (and every disaster movie) is the special effect. San Andreas has flawless effects! We have seen Golden Gate Bridge destroyed in other movies (TOO MANY MOVIES) but I bet you've never seen it destroyed this way before. It is so scary yet seems logical too. If you see this movie in 3D or even better 4DX, you'll feel everything is very realistic. 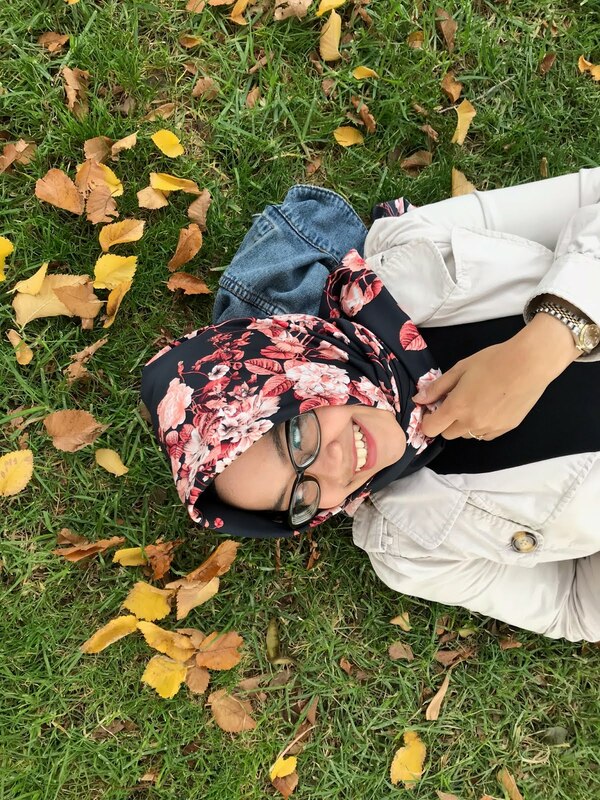 When the helicopter crashed the building and your seat is shaking and there's wind blowing toward you or when the earthquake began and your body started shaking. It felt like a real because the CGI is almost flawless. Imagine if the CGI is terrible but the 4DX effects are good. It still boring for me. Feels like you're just sitting at massage seat or something like that. But like any other typical disaster movies, San Andreas still have some things that really unnecessary and some of them are bad. Natalie, the girl who drove in the opening, was still survived and perfectly fine after her car rolled over for like 10 times. She didn't have any bones fracture or serious head injury. She was just unconscious. Really? The love and nostalgia moments between Ray and his wife. They were in the middle of massive disaster, on their way to save their daughter but still thinking about their feelings? This is really unnecessary! Who the hell cares? Daniel Riddick should not take this role. He looks so dumb. I was hoping I could see more of Colton Haynes but unfortunately, he only appeared maximum 3 minutes (and actually he really said 'I only need 3 minutes' in the movie) and yet he looks stupid.